Here are my latest pieces! Starting from the top, my black with white glitter guitar pick pendants. 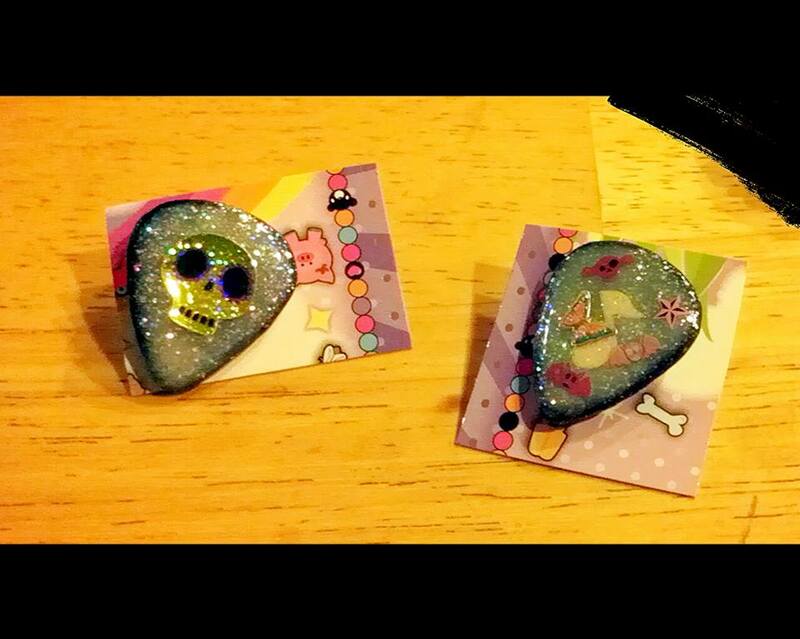 One is embedded with a skull sticker, the other with a music note and nail stickers. 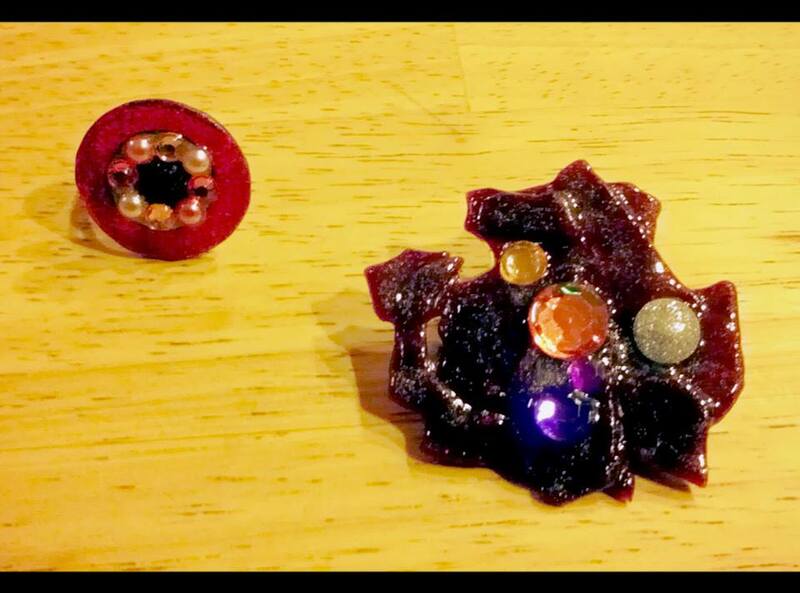 The middle image is a red record ring made from a melted red 45 vinyl record. The other is excess pieces of record melted together into an edgy looking brooch. I melted the record pieces together, painted the piece in fine holographic glitter, glued on some gems and sealed it with epoxy resin. 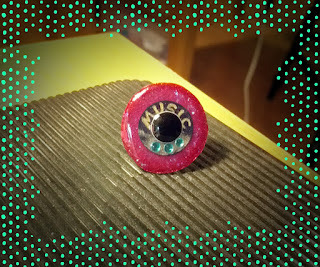 Last image, another record ring, this one with "MUSIC" and tiny gems on it.